A blind e-mail from high-school principal Nick Elam has turned into TBT adopting the Elam Ending, which Dugar calls "an awesome, awesome, awesome experience. It’s like pure, possession-oriented, very high-stakes basketball." Around 2015, an email from an Ohio middle school principal named Nick Elam landed in the inbox of info@thetournament.com. What Jon Mugar, the founder and CEO of The Basketball Tournament (TBT), opened was a detailed, 67-page PowerPoint with a radical new idea on how to improve how basketball games ended. 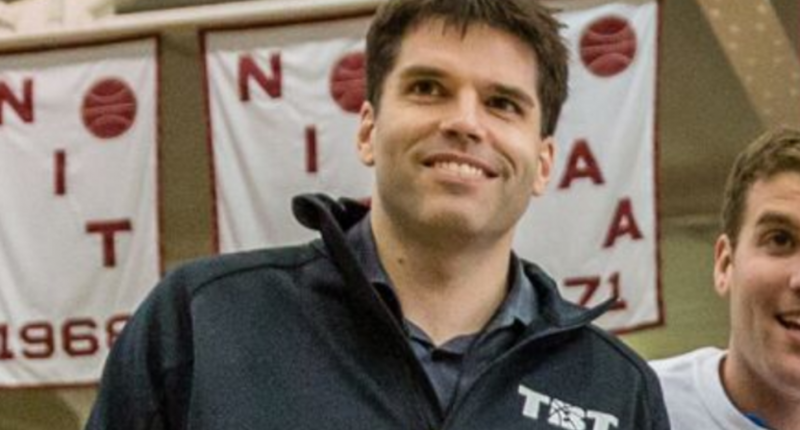 Awful Announcing chatted with Mugar about the backstory behind how the Elam Ending was implemented and how TBT is trying to continue to innovate and dominate the midsummer basketball landscape. Mugar pored through every word of Elam’s blind email presentation, searching and hoping for mistakes in punctuation or any kind of error that would give him the excuse to toss out this plan. Then for close to two years, Mugar sat on it, considering what to do after watching TBT grow in popularity, yet seeing endings of games drag on with unnecessary fouls and stoppages that Elam’s plan would have eliminated. In April 2017, ESPN’s Zach Lowe introduced Elam’s plan to the world, and the Elam Ending was first tried out in TBT’s play-in games that summer. The Elam Ending really appealed to Mugar for what it’s designed to do, and that’s to create more exciting endings and less teams sitting on leads and running out the clock in a foul-fest. That forces teams to take the initiative in order to win and advance in TBT’s tournament, where the winner will earn $2 million. When the game is nearly out of reach, instituting the Elam Ending was a no-brainer for Mugar. What he really wanted to test out was how the Elam Ending would hold up in a closer, more tightly-contested game. Without what Mugar called the crutch of the game clock, teams with only a one-possession lead are forced to get extremely serious, without the ability of grinding out possessions and playing not to lose, like you see in elimination games at times in every sport. In addition to game winners, there are also potential game-winners on both sides that miss, or what Mugar called losing shots. And with there being no clock, it’s not a potential game-winner that a team would make or miss, it’s a definitive game-winner. “You hear the audience exhale and you hear them breathing on every shot in that final possession, which is awesome,” Mugar said. As a startup entity, Mugar said TBT was willing to take more risks like the Elam Ending, while the NBA and NCAA have been around for decades with huge financial success and a built-in fan base. However, you have seen the NBA and NCAA be more experimental in the lower ranks, with numerous rules and formatting changes being tested out in the G-League and the NIT over the last three or four years. That coincides with the years TBT has been in existence, which Mugar calls a coincidence. One TBT tradition that the NCAA instituted is the winning team advancing their teams on the tournament bracket after the game, which took four years to finally catch on. For the Elam Ending to catch on elsewhere, Mugar said “it would be at least four years.” But what he’s really looking forward to is seeing how Elam Endings turn out in the later-round games of TBT, with the round of 16 beginning on Thursday. The Elam rule will continue to be evaluated after the season ends, Mugar said, but so far, it seems like it’s been an enormous success. Not bad for something that randomly popped up in your inbox.